Despite the hype, researchers are still exploring the benefits of meditation and how much practice we need to achieve them. During the past two decades, we’ve discovered a lot about mindfulness—and specifically meditation, which is one of the best ways to cultivate moment-to-moment awareness of ourselves and our environment. Research has suggested that in a few short weeks, mindfulness meditation practice can bring about physiological, psychological, and social benefits in our lives. From increases in gray matter in the brain to alleviating physical ailments such as migraines and fibromyalgia, the benefits of mindfulness and meditation practice more generally have been touted for everyone ranging from executives to schoolchildren. With so many positive claims about mindfulness meditation, it can be difficult to decipher which claims have the most research behind them and which are still preliminary or speculative. In fact, there is a great deal we don’t yet understand about mindfulness and meditation. Here’s a rundown of questions that we’re still exploring, with some tips for thoughtfully consuming news and research. What are the actual benefits of mindfulness meditation? Just recently, I’ve seen headlines promoting how mindfulness and meditation practices may “decrease your risk of cancer,” “reduce holiday excess,” and help athletes rise to the top. Are these claims true? Surprisingly, this review showed low evidence of improvements in stress, distress, and quality of life. Furthermore, there was also low, insufficient, or no evidence of meditation programs’ effect on positive mood and feelings, attention, substance use, eating habits, sleep, and weight. According to the authors, meditation programs were not shown to be more beneficial than active treatments—such as exercise, therapy, or taking prescription drugs—on any outcomes of interest. Meditation did not seem to be harmful, however. While it’s possible that the benefits of mindfulness practice and meditation more generally may be more modest than originally assumed, several important barriers to the study of contemplative practices influence the quality of research being conducted. Most notable are the lack of funding (which influences number of participants, study length, and design) and poor measurement tools (which have been limited primarily to questionnaires of varying quality, an issue also likely tied to the lack of funding). While private and federal research grants are indeed awarded to the study of contemplative practices, these grants are typically much smaller than those awarded to more traditional research (e.g., cognitive behavioral therapy or pharmacology trials). Nevertheless, the consensus from this meta-analysis is that while there are some benefits, mindfulness meditation programs are not a cure-all to every modern-day ailment. Many meditation programs suggest that participants practice formal meditation (the “on the cushion” practice) anywhere from 15-30 minutes per day, 5-7 days per week. 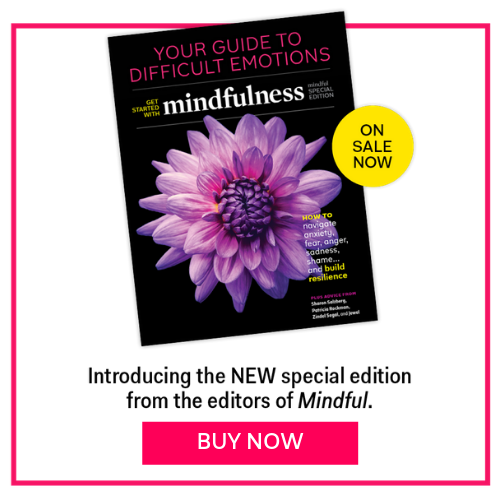 Many research studies, including some of our published research at Stanford University on Mindfulness-Based Stress Reduction and Compassion Cultivation Training, have found that some (not all) of the benefits from these programs are “dose dependent”—meaning that the participants who report the greatest amount of meditation practice are the ones who show the greatest gains. This is not universally true; there are some outcomes that do not seem to be influenced by minutes of practice, and there are many published studies that do not show any “dose” effects at all. As is often the case, the research is mixed. Aside from the raw number of minutes, other factors may interact to influence the benefits of mindfulness practice: the type (e.g., formal sitting meditation practice vs. informal meditation practices, mindfulness vs. compassion, etc. ), the frequency (e.g., multiple times a day, multiple times a week), and the quality (e.g., sitting and actually doing the practice vs. doing the practice “on the go”). I often use the analogy of going to the gym: It’s not enough to simply think about going to the gym, or talk about going to the gym, or wear gym clothes around town, or go to the gym and sit on the gym equipment and check your email, or only do cardio or weights exclusively, or only go to the gym for a few weeks after making New Year’s resolutions. In order to gain the most benefits out of going to the gym, one has to really show up and do the exercises on a regular basis. Is there a dark side to meditation? One of the big misconceptions about mindfulness practice and meditation more generally is that they will induce a sense of peace, calm, and stress reduction. While this can be the experience for some, it is not the experience for all. At times, sitting quietly with oneself can be a difficult—even painful—experience. For individuals who have experienced some sort of trauma, sitting and meditating can at times bring up recent or sometimes decades-old painful memories and experiences that they may not be prepared to confront. One of the big misconceptions about mindfulness practice and meditation more generally is that they will induce a sense of peace, calm, and stress reduction. While this can be the experience for some, it is not the experience for all. We don’t know much about these adverse effects yet. A few years ago, Willoughby Britton at Brown University launched “The Varieties of Contemplative Experience” project in an effort to examine, document, analyze, and ultimately publicize any accounts of adverse effects of meditation and contemplative practices. While data collection is ongoing, we will likely soon have some preliminary data on the adverse effects for certain individuals. At times, it may be appropriate to seek outside support when practicing meditation, such as short-term psychotherapy, support groups, or meditation sangha groups. It’s also possible that some practices are more “difficult” than others. For example, practices where you visualize yourself as a small child might be particularly difficult if you experienced some sort of abuse as a young child. Rather than powering through the practices, be willing to gauge whether a particular type of meditation is suitable for you at this time in your life. In the journal-to-journalism cycle, there is often a disconnect between what scientific research actually finds and what the media ends up reporting. We will no doubt continue to be inundated with glossy magazine covers, catchy headlines, and social media posts on the latest and greatest findings on mindfulness and meditation more generally. Aside from reading news from reputable outlets, as a savvy consumer of mindfulness meditation research, you may consider doing the following. How was mindfulness measured or manipulated? If there were differences found, how large are these differences? 2. Ask how this fits in with the larger literature. The latest mindfulness meditation research will surely make splashy headlines, but it’s important to consider how findings fit in with the larger literature: Does this study support or contradict other studies? Have these findings been replicated? Opt to read meta-analyses when possible. Consider how findings fit in with the larger literature: Does this study support or contradict other studies? Have these findings been replicated? Opt to read meta-analyses when possible. 3. Remember that publications are biased. Academic journals are historically biased towards publishing new and novel research that finds some link or effect, rather than none. Therefore, most of the news articles and research papers you read will say that there are indeed some changes or improvements. While this is slowly changing, studies where there were no differences or improvements are still unlikely to be published. It’s important to remember that what is being published is a fraction of all the research that actually gets conducted. 4. Revisit Stats 101. Remember that research is probabilistic; averages are getting reported in studies and there are always people who fall above and below the average (sometimes so much so that they’re referred to as outliers). Remember that you may be an outlier—just because the literature says something “works” for most people doesn’t mean it will “work” for you. We have to be willing to be our own laboratory and try things out on ourselves, collect data, and determine whether they “work” for us. 5. Proceed with caution. Remember to interpret everything you read with caution—researchers and journalists have biases, too! Researchers are incentivized to publish findings that tell a neat and coherent story and fit in with mainstream research. Journalists are incentivized to come up with catchy headlines to get you to click on their articles, and are often constrained by word count limits and tight deadlines—all of which may influence the end product that you read. As sophisticated consumers of mindfulness research, we must be willing to do our own homework and carefully consider what, if any, implications the latest research findings have for us in our lives.